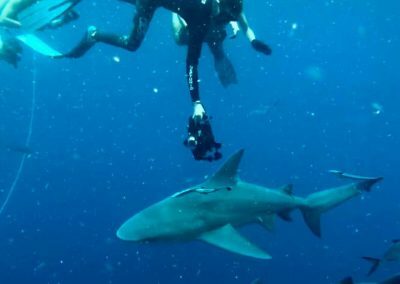 Shark Diving Trips | Daily Cage & Freedive adventures with Florida Sharks! 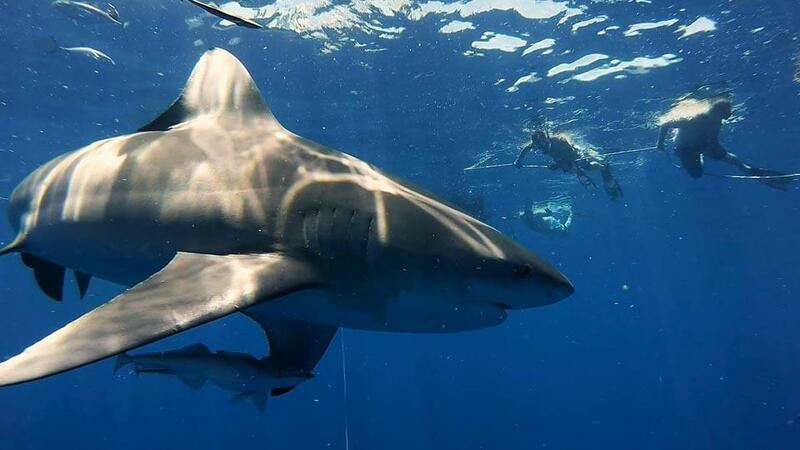 Join us to safely get in the water with Florida’s impressive shark species! 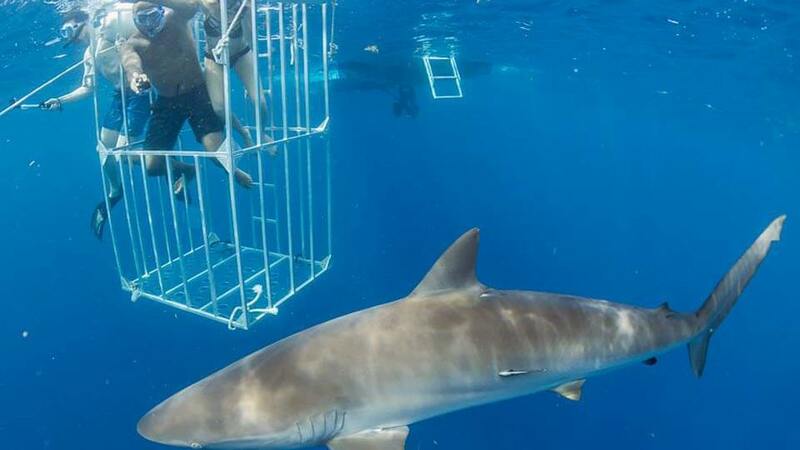 We offer Cage and Free Dive Adventures Daily! 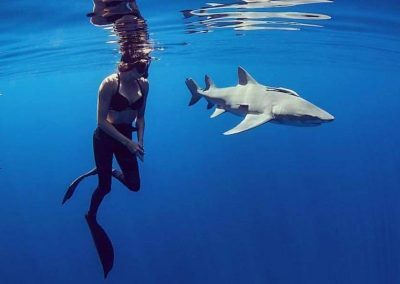 Up to 6 total guests. 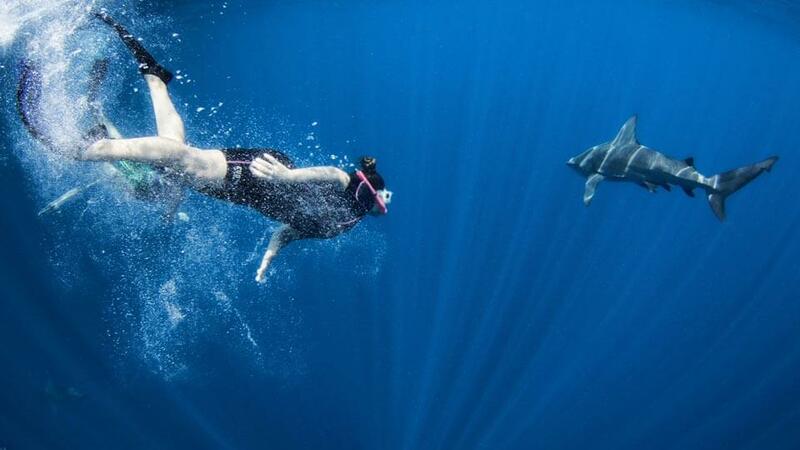 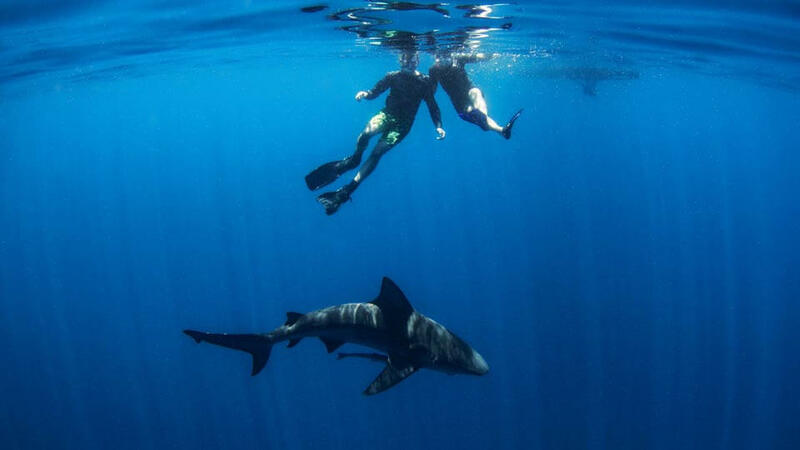 Swim with Florida’s Apex Oceanic Predators! 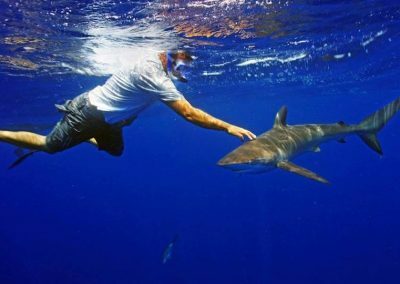 Florida has the highest concentration of large sharks along it’s surrounding coastline than anywhere else on the East Coast. 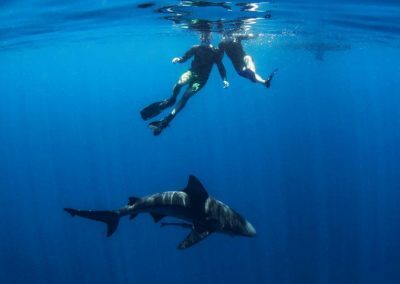 On our Shark Diving Trips, we get you safely in the water with some of the largest predatory shark species in the ocean. 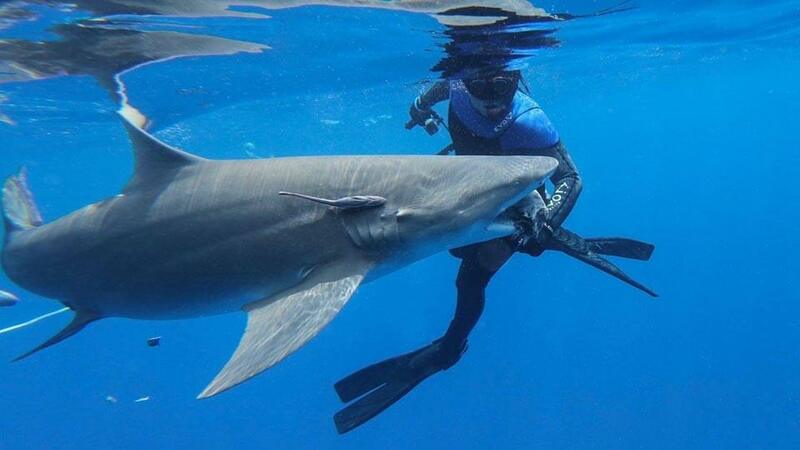 These trips take place beyond 3 miles from shore into the deep waters of the Gulf Stream. 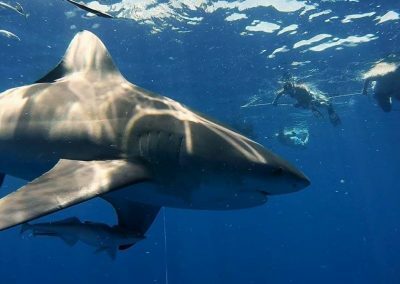 Here is a list of the sharks we routinely see on our shark dives: Tiger, Great Hammerhead, Scalloped Hammerhead, Bull, Dusky, Silky, Lemon, Sandbar, Blacktip, and Reef Sharks. 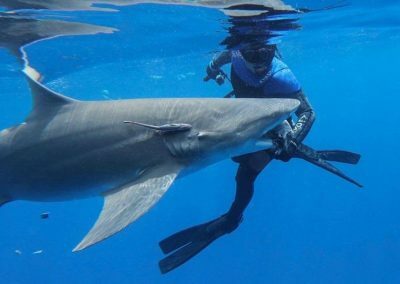 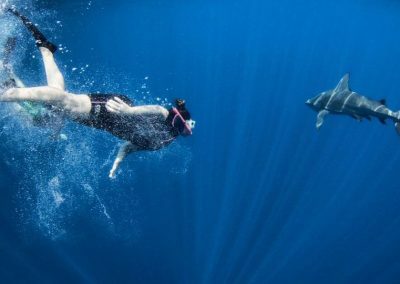 This is the trip for you if you’re looking for a world-class opportunity to come face to face with sharks on their turf. 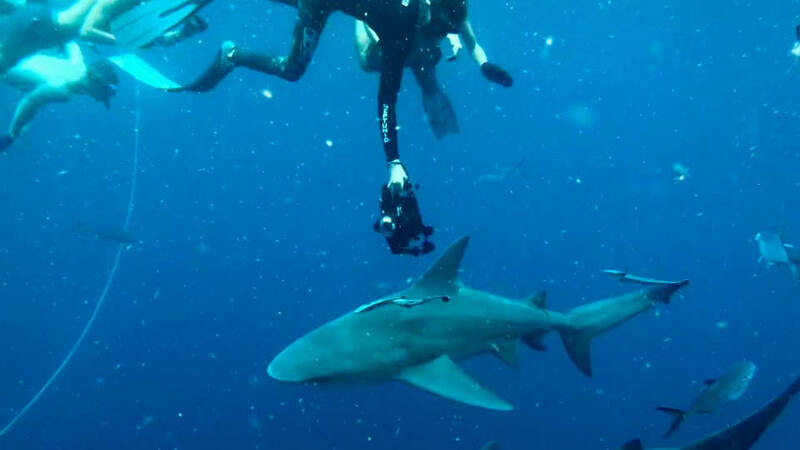 The waters in our diving zones are perfect for diving with water visibility consistently ranging from 40′ – 100′ and water temps ranging from the mid-70’s to mid-80’s. 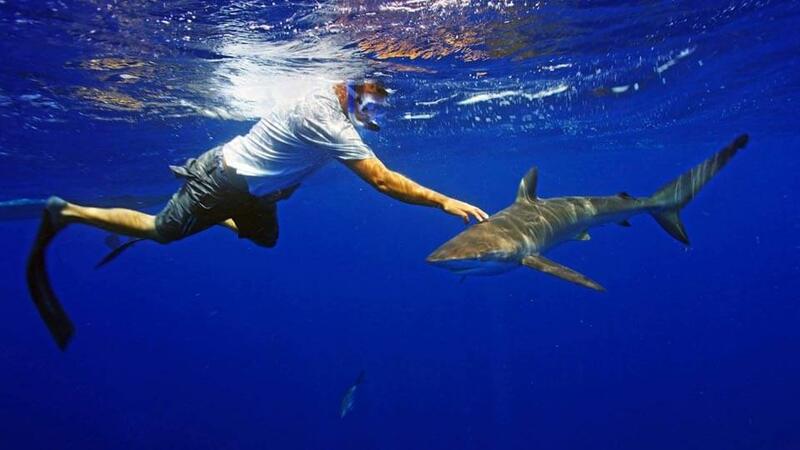 We work hard on these trips to get sharks to the boat and get you in the water for a first-class shark dive. 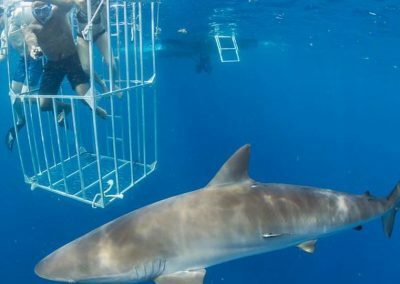 Our boat, cage, and equipment are designed to give you the best shark diving experience possible. 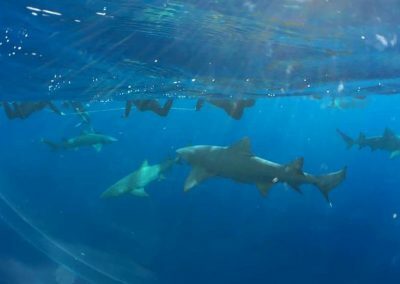 Sharks Encountered: Tiger, Great Hammerhead, Scalloped Hammerhead, Bull, Dusky, Silky, Lemon, Reef, Sandbar, Spinner, Blacktip, Mako, and More.  For more information or to book a trip don’t hesitate to email or call us and we’ll get you the information you need. 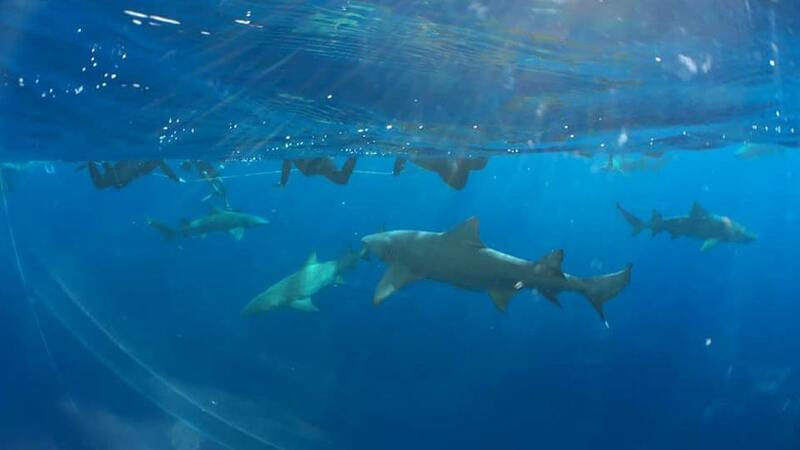 We See Sharks on Every Trip! 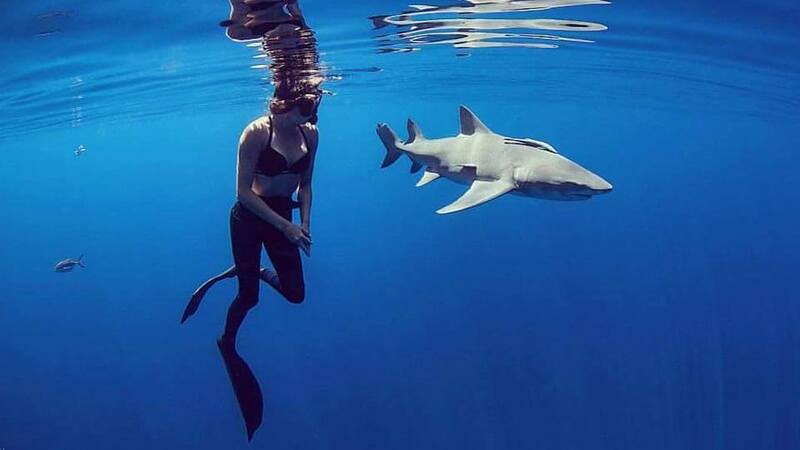 All diving is on snorkel.